The new site admin has decided they do not intend to publish any of their own content and the site will use material solely provided by readers. If you would like the site to continue please supply the content you’d like to read in the comments section below., don’t provide just links or copy paste from news items. Please say at the start of your comment if you don’t want the comment itself made public – just its content. All content will be published under the Teamster account name. If you want to keep the site open we’ll expect you to write the articles. They don’t have to be literary gems, just write from the heart and with good intent. Admin will publish them with suitable images and links to similar content elsewhere. The usual comment guidelines apply. Keep it legal and no ad homs. This is your site, it’s up to you now to provide material if you want to keep it open. 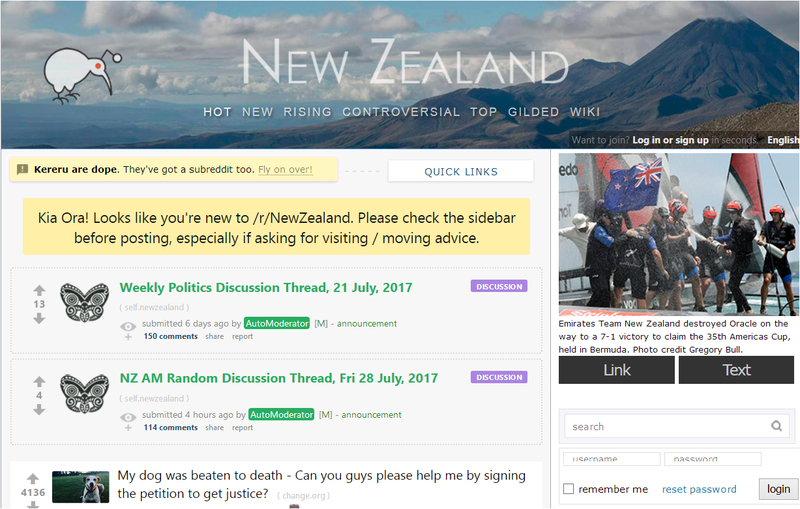 I have worked as a Probation Officer (PO) since 9/2016 when I moved back to NZ. I’ve been a NZ citizen for 36 years but spent most of my life in the states. I worked in the criminal justice field in the states for over 20 years, including probation/parole, corrections and police. I haven’t personally seen or experienced the bullying or hostility mentioned in the post at the Department of Corrections. I have heard stories of others who had experiences with bullying. I think it is a matter of personal perspective. I have had differences with supervisors (I have had 9 since I started here due to acting positions and turnover). I would have a discussion with the supervisor and we would come to mutually agreeable outcome. If not, I would take the issue to the PSA delegate (our union) and the issue would be sorted. I think the problem is the hiring process used by Corrections that allows anyone to be hired as a PO. Compared to the police, who have rigorous hiring process (for a job that pays less than a PO), less than third who apply are hired. With probation, if the applicant puts the right words on the CV and charms the HR people at the assessment, they are hired. Many go into this job thinking it is social work and start acting like the offender’s aunty or mummy. I also think some POs they hire have pre-existing mental health problems. Many don’t have the experience to work with offenders. Crooks in every Western country are the same. Self entitled, manipulative, spoiled by the state because of free benefits and lenient treatment and unwilling to stop offending because it is the easy thing to do. If a PO follows the Department’s standards of practice and treats the offender firm but fair there will be no worries. If staff treat them like a type of social working mummy, they will will burn out, become over work and get stressed. The job is first protecting the community and second rehabilitation (if the offender WANTS to be rehabilitated). Beyond that, I don’t worry about the offenders. I don’t take the job home with me and keep work separate from my personal life. Compared to my experience working in the justice sector in the states, Probation in NZ is a breezy job. Most of the US justice sector jobs I worked in are hostile work environments. Hiring is based on who you know or do you meet the right race, creed, gender, language (Spanish) etc requirement. Age discrimination is rampant. Merit and experience means nothing in public sector hiring in the states. US offenders can be genuinely dangerous (not the wanna be gangstas they have here). I had to carry a gun because I worked in a large city and the neighborhoods where the offenders lived were dangerous and I had to arrest offenders which the breached their sentence. Justice sector management is extremely hostile, especially if bring to their attention malfeasance and corruption. One of my District Managers was a convicted felon. Unions are useless in the states and there is no workplace protection unless you can afford a very expensive lawyer. When I worked in US corrections treatment facility, I exposed maltreatment of offenders and staff and management threatened with a strip search and forced me to retire ! (although I was happy to leave) I can say that experience gave me some PTSD. So compared with experience like that, I am much happier here. Sharon’s experience I’m sure was a real for her and I’m sorry it happened but don’t take that as the norm for POs in NZ. Most of the POs I work with either tolerate or like the job. Will I do this for the rest of my life? Maybe not, but I won’t be leaving in the near future. In the plain and nondescript part of the New Zealand town where I live it is very noticeable just how few people actually ‘walk’ anywhere – whether it be to work or the shops or for general fitness. Travelling on foot gives you a very different perspective on the overall health of a town – the state of the housing, how many derelict old cars there are round the place, who actually cares about the appearance of their property, how many domestic arguments there are in the neighbourhood, and who regularly smokes dope out on their front porch of a morning. These are ‘real things’ which your average bourgeois kiwi simply does not see as he or she powers through town in their flashy new SUV – on their way to meet their next client. It must be so great to be part of that ‘growing economy’ which we have heard so much about recently. As a walker you also begin to realise what it must have been like to be a leper in the days of old – simply because pedestrian traffic in any shape or form seems to be viewed as a great annoyance or inconvenience to a good many kiwi drivers. I am convinced it’s a power thing. Neo-liberal New Zealand is very much about individuals getting their own way (people constantly being in competition with one another) and this is clearly reflected in kiwi driving attitudes. Despite New Zealand’s 100 Percent Pure image (i.e. green and environmentally-friendly) the one-in-a-car scenario still very much predominates and many vehicles on the road are well over 20 years old (and are clearly not serviced regularly). Also many of those who pull up to the ‘STOP’ sign at the crossroads have large jowls and cigarettes in their mouths – or they are sucking on cans of sugary energy drink. This is very much in line with the current obesity epidemic. 4WDs, fast food, and fags – a deadly combination in anyone’s books. In all honesty there are few smiles out there for a walker. I often get dirty looks when I step out into traffic (to cross a road) or angry toots if a driver thinks I am challenging their vehicular right-of-way (even if they haven’t indicated they wish to turn and subsequently shoot straight across my path). Perhaps if I walked irregularly I could put all this down to being one-off incidents but over time I have come to realise these are very common behaviours. I am sure many of the kiwi drivers who I see on a daily basis could not even begin to comprehend the courtesy and patience required to drive in an overseas environment. It also never ceases to amaze me when I see middle-aged men doing burn-outs on the streets as if they are teenagers. If these drivers were to be challenged – like so many in this mythical paradise they would surely attempt to justify their actions by saying “it’s the kiwi way.” The sad thing however is – it is under the flagship of this ‘kiwi way’ that the country finds itself in such a sorry state as it does today. It has taken me so long to write this. In 2008 I was hired from the United States to work as a Probation Officer for the New Zealand Department of Community Probation. I began in Hamilton where I worked for five years in what are rumoured to be some of the highest stress offices in the department. At that time I was ambitious and eager to advance my new career. I was promised the opportunity to develop and expand if I took a position in Blenheim. We had never been South of Wellington. Blenheim was an entirely new place. We assumed we would fit in and make friends easily, as we had in Hamilton. However, as detailed in the first grievance, workplace bullying began immediately. Because we were in such a small town, every aspect of our lives was affected. It was quite clear that the issues inside my office had somehow seeped into the surrounding community. Our daughter was socially isolated. My husband, John, found it difficult to obtain decent employment and was mistreated at the job he did manage to get. We were unable to obtain decent housing. During and after my hospitalisation in Feb 2012, even the local DHB failed in its duty of care. I was recognised during my five days in the Nelson mental hospital after staff failed to take requested steps to protect my confidentiality. Throughout my outpatient experience, I continued to be misdiagnosed and undertreated. I do not know if this was due to incompetence by the Marlborough DHB staff or due to my pariah status in the community. I was medically discharged from Community Probation after a protracted conflict. I refused to sign a confidentiality form, despite intense pressure from my Area Manager and even my union. My 18 page grievance appears to have been ignored by the Department. We returned to Hamilton. Our financial situation was so dire due to the loss of my employment that we had difficulty finding housing. We enlisted the grudging help of WINZ, something I never dreamed of doing when we first emigrated. We are still paying that debt as well as debt to our bank – a personal loan I obtained in order to finance our original move to Blenheim is still outstanding. At this time we continue to be WINZ clients due to the complex Post Traumatic Stress Disorder which was finally diagnosed by Waikato DHB Mental Health. We have no savings to speak of. My continuing symptoms are a terrible personal and social stigma and burden on myself and on my family. This was not the dream I envisioned when I came to New Zealand. I came here to be a public servant. I came here to use my considerable skills in Human Services to support the safety of the public in this country. I did not come here to rot at home, partially dependent on government handouts, afraid to interact with most people. I was a good Probation Officer. And now I’m nothing. This is the face of workplace bullying”. National Party leader Bill English says Paula Bennett’s remarks about criminals’ human rights were incorrect. “It clearly is not the case that some New Zealanders have less human rights than others,” English told Radio NZ this morning. In New Zealand, gang members have more human rights than Singaporeans because the NZ Human Rights Commission and the New Zealand Human Rights Tribunal do not bother about the Chief Executive’s DISCRIMINATION of Singaporeans – complaints filed four years ago. These so-called New Zealand Human Rights Organisations are subservient to the NZ government as they are dependent on the government for funding. The Deputy Prime Minister apologised for saying gang members have less human rights than others – but, the blatant discrimination of Singaporeans in New Zealand perpetuates and does not “stretch human rights laws” at all. This is the hypocrisy and the UN Human Rights Committee will soon have clear evidence of their conspiracy to obstruct, prevent, pervert and defeat justice. The first time I left New Zealand I wondered if anybody would notice that I was gone. I’m more than betting that in a second time that the same thing will happen. More on hostile attitudes from New Zealanders to outsiders would be interesting to me. Particularly as, from someone who has lived here all their life the country in many way depends on it for its future. This is put across in the advertising, that it is a friendly place, when in truth it is anti social from my way of seeing things. Also the level of paranoia and fear of strangers, is something I have noticed, even from my own relatives who live in New Zealand. They are mostly interested in what is on tv, and believe me, NZ tv only gets worse and worse. 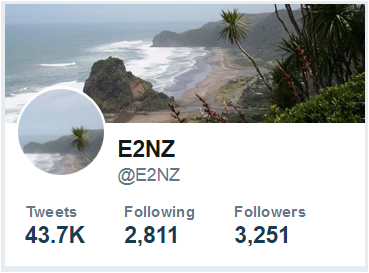 I think E2NZ should attempt to remain as apolitical as possible and focus on the big problems a majority of thinking people can agree need to be fixed: Housing, Water, Healthcare, Education. Personally I would like to see more constructive ideas for making NZ a better place too. Here is mine: Sell marijuana to tourists and tax the income to fund health and social services. I imagine a lot of US visitors these days are disappointed that NZ is more illiberal than the place they might have come from regarding this issue. After all what goes better with “natural beauty” and blockbuster fantasy film sets? It also works when it’s (inevitably) raining.